Traditional Indian Remedies for Common Illnesses! The Green Healers of India! We find various herbs commonly growing around us but never take much notice of them. But you will be surprised to know and learn about their therapeutic and medicinal potentials in treating common health ailments. The Ayurvedic and the Siddha system of medicine have been incorporating such plants in treating illnesses since ages. Its time to recognize this wealth of health easily found grown in our backyards and kitchen gardens and make use of it in staying healthy. Neem is used for multi purpose remedies. This includes sprains, flu, skin diseases, heart diseases, fever, indigestion, viral infection, etc. Some serious health concerns like cancer, kidney diseases, sexually transmitted diseases are also claimed to be treated by neem extract. Basil (Tulsi) acts as blood purifier and anti bacterial. It is effective against cough & cold. Basil enhances digestion, improves appetite & increases blood circulation. Regular consumption of basil the boosts up the immune system. Peppermint is carminative, relieves muscular spasms, increases sweating, stimulates secretion of bile and is an antiseptic. It’s therapeutic value lies in its ability to relieve wind, flatulence, bloating and colic. Studies indicate that it relieves colon spasms and helps to cure ulcers. Peppermint also eases headaches. Menthol, its main constituent, is known to have antibacterial properties. The Indian Gooseberry is aphrodisiac, hemostatic, carminative, stomachic, diuretic and laxative. Being nutritive, it increases red blood cells count. It is one of the highest natural resources of Vitamin C (3,000 mg / fruit). Ashoka relieves diabetes, treats dyspepsia, diseases of the blood, tumors, abdominal enlargement, colic, piles, ulcers and bone fractures as well as diarrhea & bleeding piles. The leaves of the plant has a special blood purifying property. It also serves as an excellent uterine tonic and is very useful to treat syphilis and biliousness. Coriander leaves stimulate appetite and improves digestion. These are rich in magnesium, potassium & fibers. Regular consumption boosts immunity and purifies blood. Studies how their role in curing diabetes. Lemon helps to control Blood Pressure, purifies blood, reduces swelling of the spleen & strengthens the immune system. It is rich in vitamins C, B, B2, and calcium & iron. The plant protects our body against germs and bacteria. Betel leaf exhibits carminative, stimulant, astringent and aromatic properties. The leaf improves taste & appetite. Betel leaf juice is a tonic to brain, heart, liver and other internal organs. It is beneficial in improving bowel action in cases of constipation. Betel leaves juice also cures eye problems and night blindness effectively. Peepal tree is useful in inflammations & glandular swelling of the neck. Its root bark is useful for stomatitis and in ulcers. Roots of peepal tree are good for gout. The roots when chewed are considered beneficial for treating gum diseases. Its fruit promotes digestion, checks vomiting, treats asthma & is useful in urinary troubles & heart diseases. The leaves of peepal are also used to treat constipation. Bay has a reputation for soothing the stomach and relieving flatulence. Its leaves are known for their ability to relieve aches & pains associated with rheumatism, & for sprains, bruises, and skin rashes. 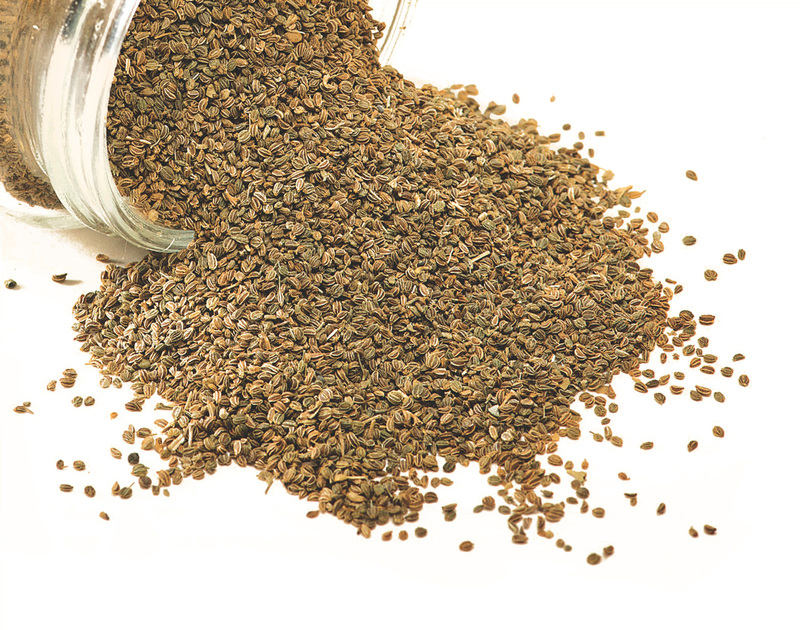 Ajwain (Trachyspermum ammi), also known as carom seeds, is a small, erect, much branched, annual shrub of the coriander family. The dry seeds of the plant are harvested in the form of ajwain seeds. The seeds are egg-shaped having five ridges with a depression in the middle. These greenish-brown seeds are aromatic, tingling and slightly bitter. It has been cultivated in India from ancient times, largely in Rajasthan, Punjab, Madhya Pradesh, Hyderabad, Uttar Pradesh, Bihar, West Bengal and Tamil Nadu. It is also extensively grown in other countries like Afghanistan, Iran and Egypt. Ajwain seeds have been traditionally used as a spice, in flavoring numerous foods, as anti-oxidants, preservative and as medicine in Ayurveda. Some valuable Unani medicines are also prepared from its seeds. To treat indigestion, boil a tsp of seeds in a glass of water. Filter and add a pinch of rock salt to the filtrate. This preparation can be administered to cure diarrhea, dysentery, indigestion, colic and flatulence. Gargling mouth with the ajwain water helps in curing toothache. Taking a tsp of the seeds with buttermilk is known to relieve congestion due to formation of phlegm. This remedy is also effective in bronchitis. Dry cough can be cured by chewing betel leaf and ajwain seeds. Administering a mixture of ajwain seeds, black sesame and jaggery (twice daily) helps in treating the bed wetting problems among kids. Application of ajwain seeds oil (mixed with carrier oil) is said to cure rheumatic swelling and pain. Alternatively, one can boil ajwain seeds in water and expose the affected parts to its vapors. Sniffing powdered seeds wrapped in a tissue paper or thin cloth or even inhaling the fumes of ajwain helps reduce migraine headache. To improve digestion and cure acidity, mix ½ tsp of ajwain seeds with cumin seeds and take it with lukewarm water. Having a tsp of ajwain seeds with warm water on an empty stomach, or taking ½ tsp of seeds with jaggery is useful in relieving chest pain. Ajwain seed helps in purifying blood as well as reducing back pain during pregnancy. Ajwain is given to pregnant women with jaggery (gur) to improve digestion and ward off constipation. It is also believed to improve breast milk production in lactating mothers. One should be careful of not eating too much of this seed as it is known to increase the heat in the body and cause problems with the pregnancy. Topical application of ajwain seeds paste in curd helps in curing scars, acne, blackheads and blemishes on skin. Sprinkling Ajwain paste and mustard oil in the corners of the room can prove to be a good and effective mosquito repellent. For weight loss, boil a tsp of Ajwain seeds in a litre of water. Allow it to cool, strain and sip on this liquid through the day. By speeding up your metabolism and relieving you of any indigestion, this would help you shed weight much faster. 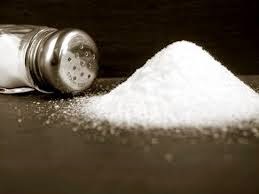 Is human life without salt imaginable? Probably not! Salt is an essential part of the diet of both humans and animals. It is a part of most body fluids, such as blood, sweat, and tears. It is widely used as a seasoning for foods, in curing meats, preserving fish and other foods. Since ages, salt has also been used as a remedy and a preventive measure against diseases. Toothache: Take a glass of warm water and add 2 tbsp of vinegar and a tbsp. of salt to it. Rinse your mouth with the same for temporary relief. Do visit your dentist for proper treatment. Chest Congestion: Gargling with saline water helps in removing mucus from respiratory tube. Dissolve a tsp of salt and a pinch of turmeric to 1/2 cup of warm water. Take a swig of warm water and gargle for 1-2 minutes. Repeat the process,4-5 times daily to clear chest congestion. Blocked nose: Dissolve ½ teaspoon of salt in a glass of water. Draw mixture into a nose dropper, and inhale liquid through your nostrils. Repeat this for each nostril, using 2 - 3 drops of the solution each time. When you are through, blow your nose until no discharge remains. For stronger gums: Mix some salt with mustard oil (Brassica campestris) and gently massage the mixture over the gums with a finger. Rinse off with water. Repeat the treatment twice a week for stronger gums. Sore throat: Boil a glass of water and add a tsp of salt. When the solution becomes lukewarm, do gargles with the same. Repeat 2-3 times daily for relief. See a physician if the sore throat persists longer than 3 days or is accompanied by a high fever. To soothe muscles: Salt bath not only gets your feet clean and soft, but also relieves stressed muscles. Soaking feet in warm salt water for 10-15 minutes will help you relax and feel good. Injuries: Dip the injured part of body in salt solution to subside pain and reduce swelling. Biting the cheek or tongue can cause pain and discomfort. 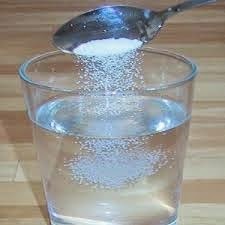 To help ease the pain, rinse mouth with 1 teaspoon salt in 1 cup warm water. Burns: Sometimes consuming very hot food or having a sip of hot coffee causes a severe burn in the mouth. Rinsing mouth with ½ tsp of salt in water every hour or so provides relief. Bee stings/ Mosquito bites: Make a paste of salt in water and apply onto the sting or bite area and let sit until dry. This would relieve the itch and pain. Stomache: Consuming a warm cup of water with a teaspoon of salt gives relief from stomach pain. Frequent consumption of this mixture can provide more effective results. Skin exfoliation: Salt works well as a natural skin exfoliant! For a glowing skin, rub some salt gently in circular motion on face and body when you’re still damp after a bath. Rinse if off with water. Who wouldn't crave for a flawless glowing complexion for enhancing beauty? For this, you don’t need to spend a lot of money at beauty parlor or buy expensive fairness synthetic products from the stores! You can attain fair complexion using the ingredients available at home. Find in this post some of the best home remedies for getting fair & glowing skin. To improve skin complexion, massage the skin with tomato pulp and leave it for 15-20 minutes. Wash the skin with water. Massaging the skin with a mixture of yogurt and lemon juice not only imparts fairness, but also lightens the black spots and acne marks. Rub raw potato slices over the skin and wash off with water after 15 minutes. Massaging the skin with milk cream with a pinch of turmeric powder helps improve complexion. Prepare a paste of sandalwood powder with turmeric in rose water and apply topically to improve skin complexion. Mix a tsp of gram flour & 1/4th tsp turmeric powder in milk to make a paste. Apply the same over the skin for 20 minutes & wash off with water. Shade dry orange peels, powder and store the same in a bottle. Take a tsp of the orange peel powder & mix in a tsp of yogurt to make it into a paste. Apply the mixture over face & neck for 15 -20 minutes. Wash off with water while rubbing in circular motions. Mix some egg yolk with curd, fuller's earth & honey to make a face pack. Apply this on face and neck for improving complexion as well as tightening the skin. For fair complexion, soak a pinch of saffron in raw milk and apply over face and neck for 15 minutes. Wash off with cold water. Take a tsp of radish juice and to it, mix a few drops of lemon juice. Topical application of the same improves complexion owing to the bleaching properties of the ingredients. Prepare a paste by mixing a tsp of oatmeal powder with a pinch of turmeric powder and a few drops of lemon. Apply the same to face for 15 minutes for skin fairness. Mix a tsp of cucumber juice with a few drops of lemon juice. Apply on the skin for 10 – 15 minutes and wash off. Add a tbsp of papaya fruit pulp to a tsp of fuller’s earth (multani mitti). Apply this mixture for a fair and flawless skin. Cut lemon into half and use the same to scrub your face, neck and hands to lighten skin tone. Lemon is an excellent bleaching agent & is beneficial for attaining fairness. For fair and glowing complexion, mash a banana & apply over face, neck and the hands for 15 minutes. Wash off with cold water. Although home remedies do provide solutions for skin problems, a nutritious diet & regular exercise plays an important role in maintaining healthy skin. Eat lots of green vegetables, fruits, grains and cereals. Supplement your diet with skin protective foods like milk, honey, yogurt and yeast. Include foods rich in vitamins A, B and C, proteins, iron and iodine for a healthy skin. Drink plenty of water (3-4 liters) everyday. Follow a regular exercise regime. Learn to meditate and manage your stress level. Don't forget to take adequate sleep to relax your mind and body. Vomiting is a biological defense mechanism, which refers to the forceful oral expulsion of stomach contents. It is multifactorial in origin and can be caused due to spinning too fast on a ride, motion sickness, certain drugs, gastroenteritis, surgery, pregnancy, disgusting sights & smells, etc. It includes symptoms like diarrhea, nausea, headache, and other symptoms depending on the reason causing vomiting. Other symptoms may be an elevation in the heart beat or change in the body temperature. Boil equal quantities of powdered fennel seeds and dried mint leaves in water till it remains one-fourth . Take this decoction thrice daily. Clove bud & fennel seeds masticated with betel leaf also provides relief from the sensation of vomiting. To get relief of nausea and vomiting, one can slowly chew 1-2 cardamoms. A decoction can also be prepared by boiling cardamom with mint leaves. Add honey to taste and administer small quantities at regular intervals. Prepare a mixture of ½ tsp ginger juice, 1 tsp mint juice, 1 tsp lemon juice with a tsp of honey and give to the patient for quick relief. Extract juice from fresh young leaves of jamun and administer 10-20 ml of the same to the sufferer. A decoction prepared by boiling equal parts of fennel and thyme seeds is beneficial for small babies in treating vomiting and indigestion. Prepare a lemon drink with added sugar and rock salt. Administer it to the patient to provide him quick relief from nausea and vomiting. One may also lick a piece of lemon for instant relief. This is quite useful during the nausea associated with travelling. To the freshly extracted basil juice, add equal proportions of mint and ginger juice and administer to the sufferer. To control persistent vomiting, add 5-6 drops of neem leaves juice to a glass of warm milk & drink. Pound mint leaves and onion together & make a paste. Take 1-2 tsp of the paste thrice daily. To cover up loss of body fluids during vomiting, one should drink water in moderate quantities from time to time. One should also avoid milk and milk products as vomiting makes body lactose intolerant. Steamed vegetables and vegetable soups in diet should be preferred over heavy meals. Spicy, acidic & high fat content foods can worsen the situation; therefore one should not include such foods in diet. Eating rice, oats, bananas, salads in the diet will provide relief from the symptoms. Tea tree oil is a common antiseptic oil helpful in reducing the inflammation of acne. Mix a few drops of tea tree oil in aloe gel and apply it to the acne overnight. To get rid of acne & dark spots, mix apple juice in honey & apply over skin. People suffering from acne must eat a diet including plenty of green vegetables, fortified cereals, dairy products, fruits and eggs. Diet rich in Vitamin A, vitamin C, vitamin E and B vitamins and zinc is known to keep blackheads and acne at bay. Cut down on chocolates, sweets, carbohydrates and high calories diet to help control acne. Drink lots of water daily. Follow any form of exercise as a part of your daily regime. Maintain hygiene! Change your pillow cover regularly and dont share it with others. If you are suffering from dandruff, treat the problem as soon as possible. Do not rub or squeeze pimples, as this would worsen the condition leaving behind a scar. Rinse your face once or twice a day. Avoid using oily & alcohol based skin care products that irritate the skin. Minimize your stress levels. Do not forget to take adequate sleep daily. Diabetes has become a very common heath problem these days. It occurs when the pancreas does not make enough or any of the hormone insulin, or when the insulin produced doesn’t work effectively. This causes the glucose level in the blood to shoot up. There are generally two main forms of the disease- Type 1 and Type 2, which is a more common form. 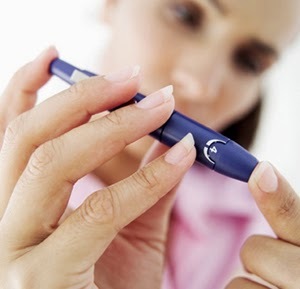 Type 2 diabetes can lead to increased risks of high blood glucose level, excessive urination, drinking and eating, tiredness, paralysis, visual disability, heart attacks, eczema, gangrene and sometimes, itching in the groin. Taking a tablespoon of aloe vera juice twice daily helps to regularize insulin flow and lower blood glucose levels naturally. Mix half teaspoon of turmeric and bay leaves powder each in a tablespoon of aloe gel. Have this mixture twice a day before meals. Drink a cup of bitter gourd juice every morning. Including this vegetable in diet helps to reduce sugar levels in the blood. Consuming 5-10g of powdered jamun seeds every morning is believed to control blood sugar levels. Soak 10 -15 mango leaves in a glass of water overnight. In the morning, filter and drink it on an empty stomach. One can also grind shade-dried mango leaves and eat half teaspoon of the same twice daily. To cure the disease, 2 teaspoon powdered fenugreek seeds can be administered daily with milk. Add 3 teaspoon of cinnamon powder to 1 litre of boiling water. Simmer for 20 min in a low flame & then strain the mixture. Have it daily to keep a check on glucose levels. To control sugar, eat 2 garlic cloves with water every morning on an empty stomach. A tablespoon of amla (Indian Gooseberry) juice mixed with a cup of bitter gourd juice can be administered daily to treat the problem. Eating a balanced diet and exercise are also important to keep a check on sugar levels. The person suffering from disease must limit carbohydrate and refined sugar consumption. Dietary intake of fruits, vegetables and whole grain pulses should be increased. Smoking and alcohol consumption should be avoided. Keeping weight under control is also important. those suffering from the disease can follow any simple form of exercise such has brisk walk, cycling, jogging and swimming. Practicing yogasanas like Ardha matsyendrasana, Trikonasana, Dhanurasana, Kati chakrasana, Merudandasana and Naukasana regularly helps the body to keep a check on sugar levels in the body. To stay fit and fine, and to keep modern day’s diseases at bay, coping up with stress and anxiety is a must! Health Benefits of Rose Tea! Home Remedies to Revitalize Memory Power! Health Benefits with Common Indian Herbs! Herbal Home Remedies for Kidney Stones! Home Remedies with Fennel seeds! Traditional Home Remedies for Asthma! Traditional Herbal Remedies for Acidity! No information on this blog is intended to diagnose, treat, cure or prevent any disease. This site is intended to be archival in nature. Any home remedy or other self treatment shouldn't be used without being advised to do so by a physician /health specialist.